Howdy there y'all, and welcome back to my Monthly Selection, where I share with you my favourites in Music and Video from the Month(s) gone by! We have just come into June, a month where the sun is high and the evenings warm. Hopefully the summer days will be kind to us all, and heck, I might even get a tan if I'm lucky! Anyways, as per usual, I am here with my Music Selection for the past month that was May. Will there be anything here that you will enjoy, too, or something you enjoyed just as much as I did? As per freakin' usual, all songs listed here are subject to my opinion. You don't have to agree with me, you don't need to like what I did, and you sure as heck don't have to have the same tastes as I do! This post is simply here to give a general look into what I personally enjoyed, and for you to check out a few songs yourself to see if ought or nought takes your fancy. We have our own unique tastes, some which may collide and hug it out, however you don't need to like what I do. Just read on, have fun, and check out some music! Also, if you have your own suggestions and favourites, please leave them here with me, or create your own post about them! It'd be fun to get an idea of what everyone else enjoys! Okay, we good, Chii? We good! Let's look at some music! May's been an up and down month. I had essays going on, there was a loss in my family, and a lot of things just happened. I didn't actually get to making this list until around the middle to end of May, and even then, I didn't start writing it out until... well, very recently, when my houses internet was cancelled, cutting me off from my blogging passion. That said, I still listened to a lot of music in May, with quite a few of them being B-sides. But yeah, it's been a hectic time, however my love for Japanese music has tided me over, and the whole [Week with...] series kept me going, too. It was nice to listen to so much music, as well as dedicate myself to something and keep my mind off of whatever the heck was going on in my everyday life. Enough talky, though, Let's get on with the post, and dive into some music from the month of May! Will there be anything here that you liked, too~? Okay, so I like this song because it's so darned cute and sweet, and that's basically it. I mean, why wouldn't I enjoy it? Adorable vocals paired with what seems to be an adorable instrumental? It also makes me think of a sweet little wonderland that petit milady run through together, and I like it when songs put vivid images in my head. 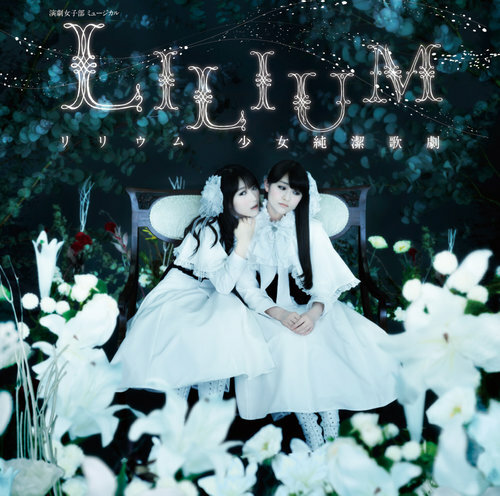 OH, and it reminds me of something YuiKaori would probably do, like Wake up! So, nostalgia for the win, haha! Seishun wa Tabemono desu, whilst not my absolute favourite of my May picks, is still a song I thoroughly enjoy. It's light and refreshing, which is pretty nice for the on-coming summer. If you want something that isn't too heavy on the ears, then try this one on for size, and see if petit milady are a perfect fit for you. What I love about Utakata Saturday Night! is its nature. It's carefree, joyous, loud, and very, very proud, and because of all these things combined, we are given something amazing and, for Hello! Pro right now (MoMusu especially), it feels completely original and fresh, at least for this new generation of members and fans. The shocking thing is that, since 2011's Kare to Issho ni Omise ga Shitai, we haven't actually heard anything this happy. It's all been cool and chic, terribly auto-tuned, and very damn dance heavy. So, to say I'm happy to finally be given something that hasn't dried up or feels like a rehash is an understatement. Like, damn, I'm pleased this was Zukki's feature song, in image and vocals, because she deserved a lively, vibrant song that imitated her personality and cheer. If she'd just been given something like Tokyo to Iu Katasumi twice, I'd be pissed, because Zukki deserves so much more than old compositions that bore me (and potentially others, though I can't speak for y'all). I love this song, and I know a few others do, too. If you've yet to hear it because you're in a H!P funk, give this a shot. It's definitely not what I'd expect from H!P right now, however this year already they've surprised me. I hope they keep on doing so, with MM, C-ute, and many others. I'm so glad that I am trying my best to keep up with TRUSTRICK, because they are an honest joy to listen to. Kanda Sayaka's voice is, as always, completely gorgeous to hear. Slightly husky, earthy vocals that are imperfect but still so melodic are paired with Billy's beautiful guitar skills, creating a perfect balance that is both relaxing and sweet to the ears. Whenever I hear this song now, I just can't help but feel content. 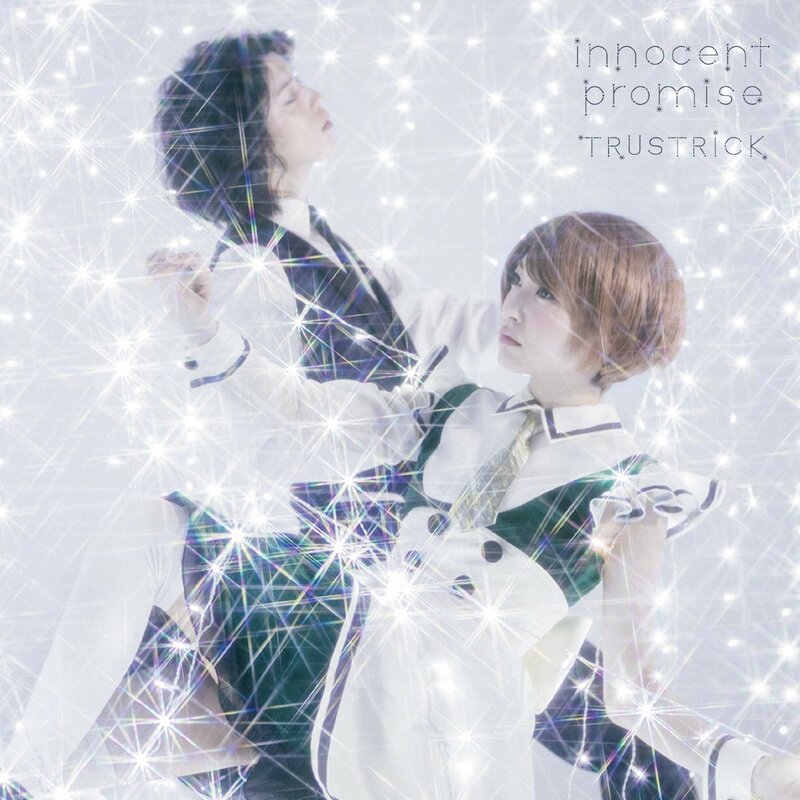 innocent promise is not what I'd expect for an anime song (yeah, that's what it is), however it delivers a great experience for the listener, and allows you to fall into the peaceful world that is TRUSTRICK. When you hear this, you won't feel stressed or tired, but chilled out thanks to its mellow tone and beautiful sound. It is definitely a song to be heard, especially if you hope to feel relaxed in this summers heat. mint gum was the original favourite from this two song track list from TRUSTRICK, and I still enjoy it thoroughly, however I happen to have found a love for innocent promise these past few days. Either way, they're both amazing in their own ways, and I do still adore mint gum for its refreshing sound and Sayaka's mesmirising vocals. This is one of those songs that makes me think of pretty pictures and music videos I want to shoot, so I'm pretty sure that in the future, this song would be great for writing to, because it gets my imagination running and allows me to fall into another world that isn't mine. I like songs like that, I like anything that makes me think and imagine, and TRUSTRICK do that for me as a listener. Not only are they pleasant and refreshing, they also invoke ideas, and that's a powerful thing in music. It's not meant to simply fall into the background, to be forgotten, it's supposed to create and entice, and leave you wanting more. I like mint gum for its sound, but also what it offers me as a listener and a creator. It inspires and it soothes, but it's something that I enjoy, too. TRUSTRICK are amazing for creating something that can do that for me as a listener. First things first: That vibrato! Secondly: DAMN! 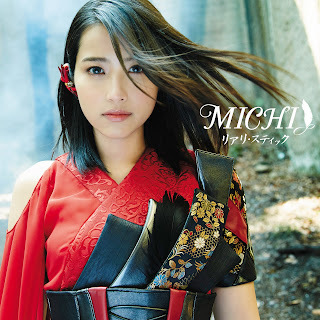 MICHI's a new singer on my radar, and honestly, I only tuned into her latest release because she has the same name as a dear friend of mine, so I thought I'd give her a try to see what this singer was like, and... well, yeah, I like her. She's absolutely fantastic. 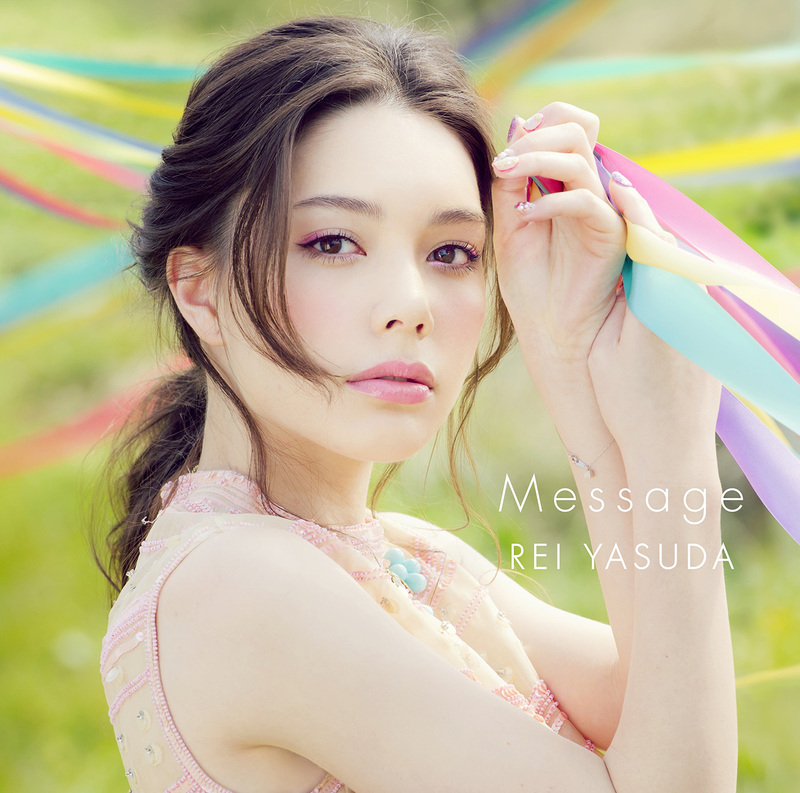 Considering I started listening to this towards the middle of May, Yasuda Rei's Message has quickly become one of my favourite songs from the month gone by, given how much I've played it, and how much I thoroughly enjoy it still, after all that play time. And let me just say this; WOW! Rei has amazing vocals. They're absolutely gorgeous, breath-taking even, and that vibrato is just wonderful! She is so rich in voice and passionate in how she sings, and I am in love. It helps greatly that the song is pretty in sound, of course, but honestly, this instrumental is nothing without Rei's vocals. She adds something to this song that turns a pretty bland and simple composition into a memorable piece that is just lovely to hear. It's pretty much music to my ears. This woman has a glorious voice, and I'm a bit peeved with myself that I hadn't really checked her out sooner, because damn, she is good! Go, Yasuda Rei! I'll be keeping an eye out on you! In a random twist of fate, I actually started watching this very anime before I even dived into this single. Heck, I hadn't even realised this single held the ending theme for this anime. Coincidence, aye? Ironic that it's the b-side I like more though, and not the actual ending theme for the anime itself. Whoo! 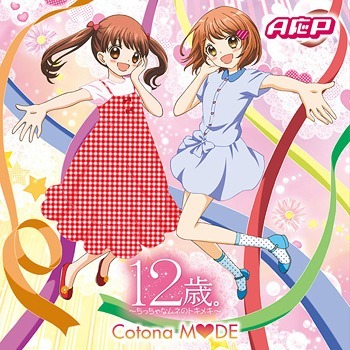 Okay, so Hatsukoi Hello Chuiho is pretty darned fun to listen to. It's cute and catchy, parts of the instrumental make me think of clu / dance remixes, and it's pretty cheerful, too. Sure, it's not the most complex of songs, in fact it's damn simple, however it's still an entertaining listen if you want something sweet to halt those cravings. 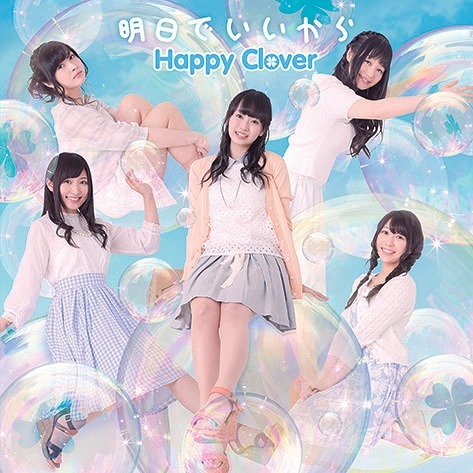 Happy Clover are a new group on the block, having only just released their debut single(s) in May. 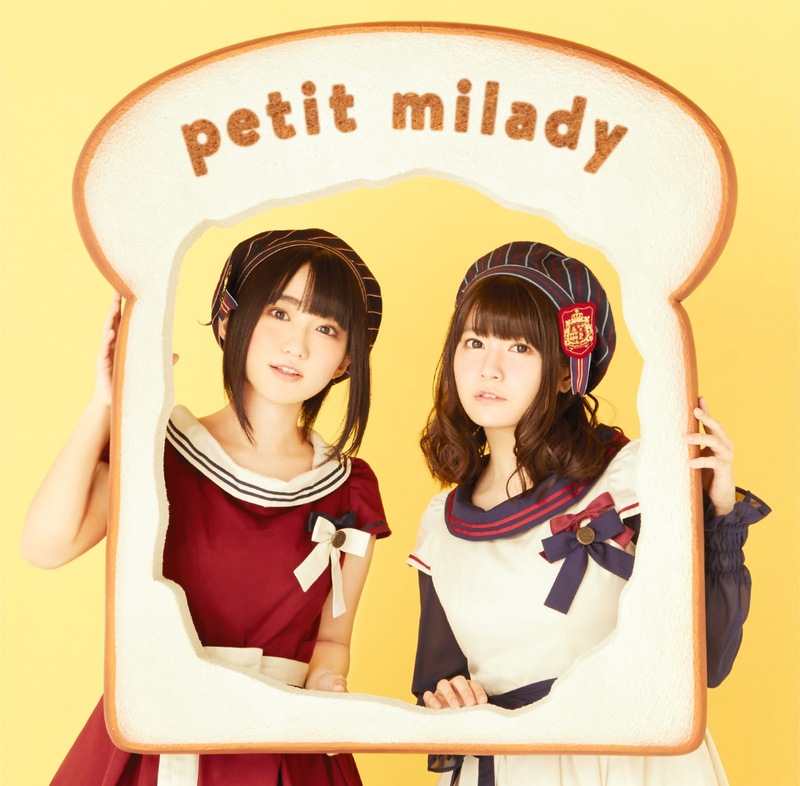 I find them intriguing in their marketing choices, as the group has released both their intro and outro themes for the anime Unhappy go lucky! separately, allowing for fans to pick and choose, and to potentially up their sales. It's a good strategy, and it definitely made me notice them. 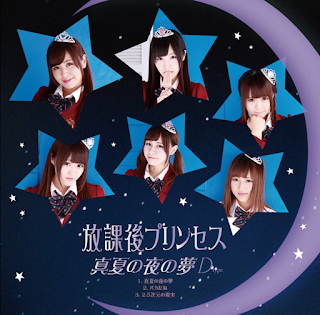 Of all the songs though, my personal favourite is Negai ha Makenai Hoshi Dakara. It's a mature, unexpected choice for this group, given their sweet name and look of sheer adorableness. It also suits their voices really well, and given how cute and squeaky Ashita de Ikara, the A-side, is, you wouldn't expect something this good in sound to come out of them. It really impressed me when I first heard the song play, and honestly, I'm still impressed. They're darned good singers, at least in the studio! You can still hear some cuteness here and there, don't get me wrong, however even the squeaky singer is doing a damn good job at sounding mysterious and mature. It's showing off all of their vocals beautifully, and I really appreciate how nicely this song contrasts with the A-side. I think if you're going to get into this group, have a go at this song, because it's highly promising, and gives me hope that I will be a follower of these girls in the near future. 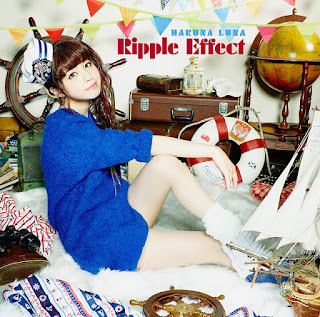 Okay, so I think I like this song by Haruna Luna because it reminds me of Babyraids JAPAN's Eikou Sunrise, and I really liked that song when it first came out. Dynamic Dreamer has a similar feel and sound to it, and even its structure feels quite familiar, too. That could just be me, but honestly, those are the vibes I get. I still like this song quite a bit, though, but it isn't my favourite. 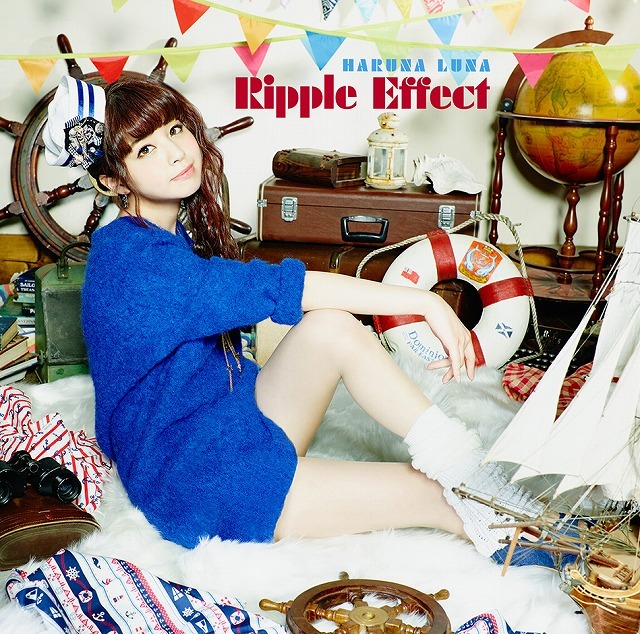 I actually really enjoy Haruna's voice the most here. She has really nice, textured vocals that feel imperfect, but that only adds to the atmosphere and overall appeal for me. She has the kind of voice that actually I am really enjoying right now; throaty and flawed, but still amazing to listen to. I might just have to come back to her at some point, because again, the appeal is there, and it is high right now. Let's hope I continue following her after this, aye? This song reminds me of a march or carnival, at least in the opening bars, and I like things like that, because childhood and nostalgia and all that jazz. Plus, her voice is pretty heavenly. Quite earthy and distinctive, mature. It's one of those voices I am really enjoying this year, and yeah, Chay is rocking the song and my ears. This is a nice song, it feels relaxing, even with its procession-like sound. It's positive in its tone, too, and just feels like a great summer song that is light and gentle on the ears. 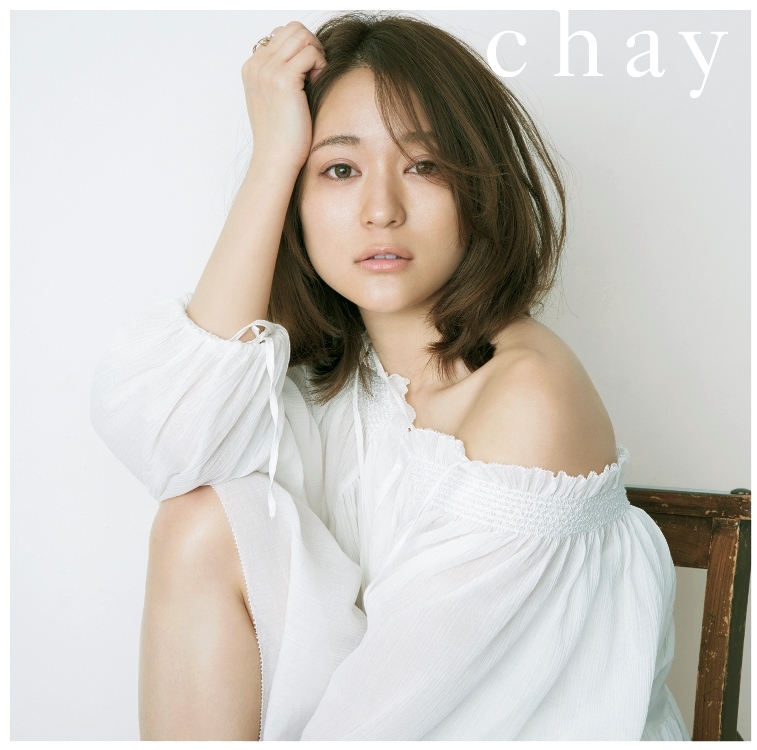 I've not heard any of CHAY's previous works, however with such a great voice and a nice song to introduce me to her, I feel like I should check a bit more of her stuff out, because damn, that pretty voice! I don't know if this song is an original or a cover, because I can find very little information on it right now, however what I do know is this: I like the song, and I like how Muu's voice sounds. It's imperfect, a little strained at times, and she definitely has a bit of an issue with holding a note for a period of time. Thing is, that's a great thing for me, because I like hearing those little kinks in the voice, and I do feel like as time progresses on, Muu could improve and become a great singer potentially with some defined vocals. She sounds rather beautiful here to me, anyway, and this song fits her voice well. It's a very calming song. Its twinkling instrumental, soft beat and Muu's s gentle voice work together in harmony, and whilst she still has a way to go, she seems to bring emotion into the song and deliver a heartfelt performance that is meaningful and quite personal when you hear Anata ga Iru dake de. I also want to applaud this girl for taking on a song that's nearly 8 minutes long in length, because wow, that is a long piece, and for her first release, Muu is doing a great job, if you ask me. Also, I can't seem to get bored of this song; it's so tranquil and light, but it's memorable, too. She has a lovely voice, and this is a beautiful song that compliments her well. I'm so glad I got to listen to this, because... damn. All the damn! I personally enjoy The Vision. Sure, it sounds like Toki wo Koe Sora wo Koe, Tsumetai Kaze to Kataomoi, and probably a bunch of other MoMusu songs mixed together, however I do find the overall product of The Vision pretty damn appealing. It's pretty, bittersweet, and the lyrics seem pretty good, too. Also, I rather enjoy the ballads MoMusu do, even if they are rehashes of every other colorful era song we're pretty much bored of by now. It's a sound I like, in all its whimsical glory. That said, I don't want to hear this song again any time soon, because yeah, it's getting as old as all the songs thrust into Tokyo to Iu Katasumi. Give your generic blender a feckin' rest, H!P, thanks. 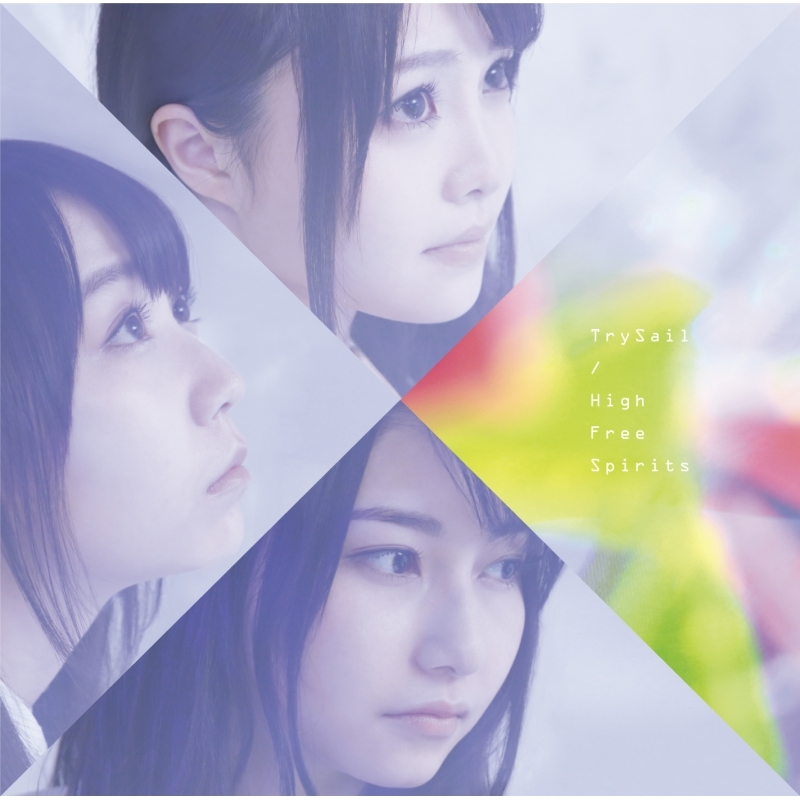 I think I've heard a bit from TrySail before, and though I may not preach about them, I do think they're pretty good to listen to. High Free Spirits, for instance, is a pretty damn good song, and it's been stuck in my head for a good while now. It's one of those songs I remember, and one I could easily get hooked on. That said, this song also falls into the background pretty easily, if I'm not careful. It's a bit of a double-edged sword in that sense; it has it's good and its bad. The vocals are great here, everyone blends, and the song is pretty up-beat and good to listen to. The chorus, however, falls flat in comparison to the main verse and chorus, though, which isn't the best of things. I'm used to a good chorus, if anything, however here it doesn't grab me as much as the verse does, which is a shame. I like it, don't get me wrong, it's just that it's not as powerful or memorable as I'd anticipated. Regardless of all that, though... I like the song, and the instrumental break is probably my favourite part of it all! I've talked about this before, I'm sure I have, and yeah, I love it. 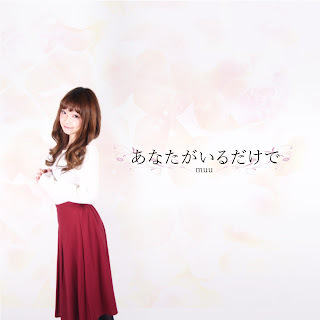 I loved it so much, I decided to review the single Sayonara wa hajimari no kotoba belongs to on Selective Hearing. This song has, in many ways, made a big impression on me. It helped me get through an essay or two, it's given me the feels during this stormy graduation season (all the tears), and it's made me smile and sing along to it, too. Right now, there's no denying that this is one of my favourite songs from the year of 2016. It's just so damn good, and it's perfection in my eyes (and for my ears). I'm going to keep listening to it, because this song is so damn wonderful, and I want y'all to listen to it, too. So, yeah... get to it! I never gave this song a proper chance until I decided to review La Pompon's latest single for Selective Hearing, and honestly, I regret this so much, because Unmei no Roulette Mawashite is a damn good cover song, one that befits the groups vocals nicely. They sound so calm and mature, and as a group they blend beautifully. I also love how updated and fresh the song sounds, fitting the current style of music well. Also, hello saxophone bridge! I did not expect thee here! 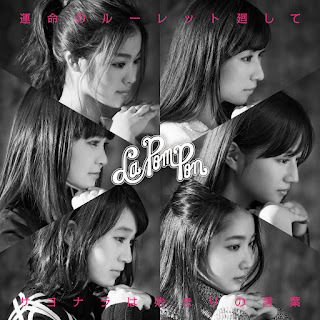 This is a really well-done cover in my opinion, and I do hope fans of the Detective Conan series and the original song by ZARD enjoy it as much as I do, because I think it's fantastic, and a great opportunity for the girls of La Pompon to cover such an iconic, popular song. Well done to them, and also, brava! IT'S BAAAAAAAAAAAAAAAAAAAAAAAAAAAAAAAAAACK!!! And it is basically my favourite HouPri song yet, yasssss! I really adore this song. It's fun, it's cheerful, it's bouncy, and it makes me act stupid, to boot. It's one of those songs that just perks you right up if you're in a slump, and it's one I can't help but dance along to for the hell of it. It just sends me absolutely ballistic, and that's because I adore it. It makes me happy, and when you're having a bit of a tough month, you need something to make you happy, right? So yeah, I tuned into this song during the month of May again, because it's just so happy and fulfilling for me as a listener. Plus, it makes me tear up with pride. I love this group so damn much! Waaaah! Nope nope nope NOPE! I deny that she's gone, I will not believe it until the next Music video's released for ANGERME! All the NOPE! Seriously, after hearing this song for the first time for my [Week with Meimi] series, I was hooked. It was in my head a lot, and I woke up thinking about it. That voice, the power, raw emotion and Meimi's passion just sat with me for a long while, and I listened to this song more than I thought I would. It's just an amazing piece, despite how short it is. That said, I think the shortness is its appeal; despite the songs length, it still has impact, and it gets to you the more you listen to it. Shoot me, now. WHY do I like this now!? 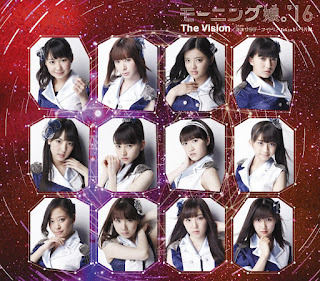 Why have my tastes developed so much that, finally, I have given in and succumbed to the horror that was S/mileage's weakest point circa 2011? Please, tell me? Answer my woes, answer my pleas. WHY!? Because clearly, 2016 Chiima can actually stand stuff better than she could in 2011. That's why. Honestly though, this is an enjoyable song from the group, and whilst I didn't like it way back when, I can see how it fit with their cute but slightly weird theme, especially with the floating cows and space ships. 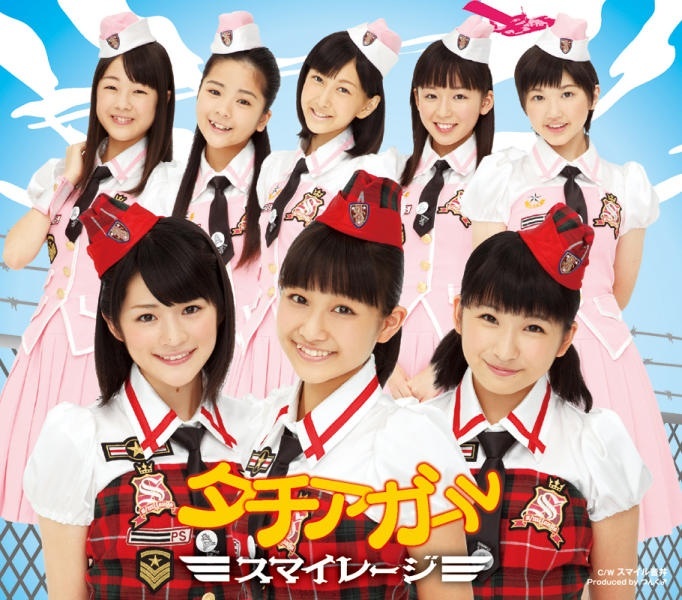 It's a fun, positive song, and a decent introduction to what was then the second generation cadets wannabes. And that be it. The month of May in a music nutshell, all written, all praised, all loved and looped to the death. You were a wonderful month for my ears, May, thank you for being there when I needed you most -sniff-. Of course, I still need to write up the PV Selections... of which I've yet to even start, or even watch anything for, because May was that busy I kind of gave the PV's a back seat. So, if one comes up and it's a little bare, don't be surprised. PV's haven't been my priority, for once, which is weird to realise, however, I was focused on so much more, and pretty damn dedicated to doing my two sets of [Week with...] posts. So, yeah, it won't be very full, not like this list was. As long as I get that post out, though, I'll be a happy bunny! So, before I go, thank you all for reading and joining me in this post. Thank you for loving Idols, and for enjoying their music and what they do for us fans. Thank you for even bothering to look at this blog, and thank you for understanding my lateness, and thank you for being you. You're all amazing. Until next time, everyone. Please take care, live life to the fullest, and enjoy your Idols. And don't worry, if I ever leave, I kind of plan to 'Graduate' Blogging XD I'd let people know, haha! Glad to hear if you do graduate, you'll give some warning <3 and yes, exciting times with itunes lol!